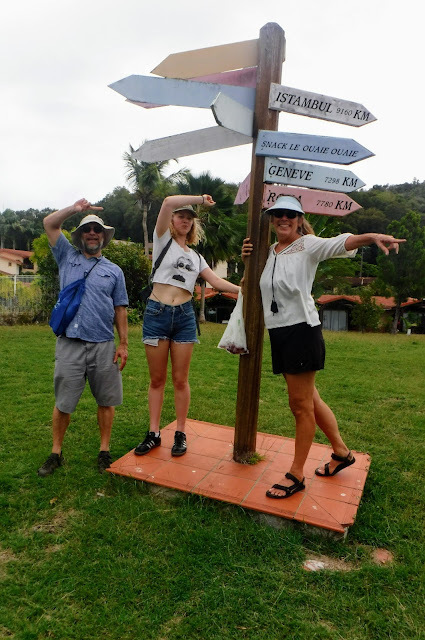 We made the mistake of setting a schedule to be in Martinique to meet my brother Nathan and his daughter, Hannele, during her spring break from Barnard College. 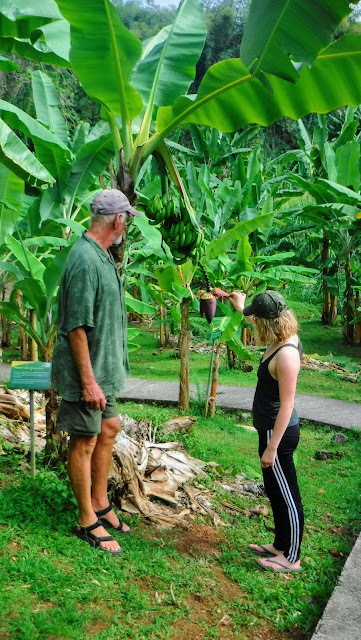 It was not a terrible mistake, it just caused us to move very quickly through several island nations, making a break from one to the next whenever weather permitted, often only having a few days on each island. The downside is that we did not get to explore St. Kitts, Antigua, Guadeloupe or Dominica as much as we would have liked. The upside is that we got a sample of each of them and we can go back and explore them in depth next cruising season. 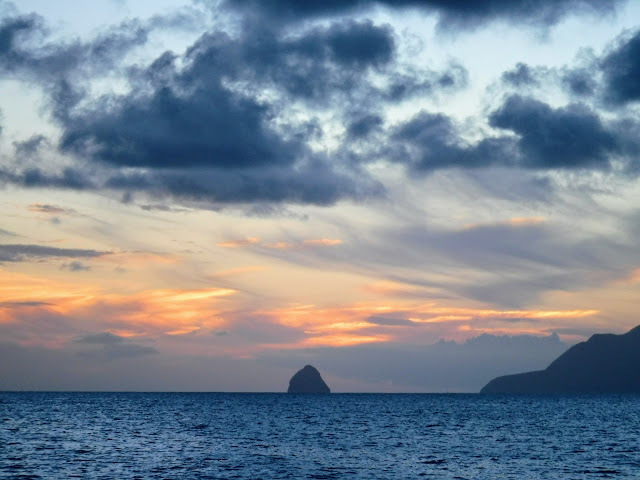 We made it to Martinique in time, they made it to Martinique in time, and we are happy to have them as guests aboard Rhapsody. Another joy of cruising - having time to explore and experience different cultures and partake in a wide variety of activities. When we have guests for a week the question becomes what can we show them, what can we experience with them, and what has to be left out. 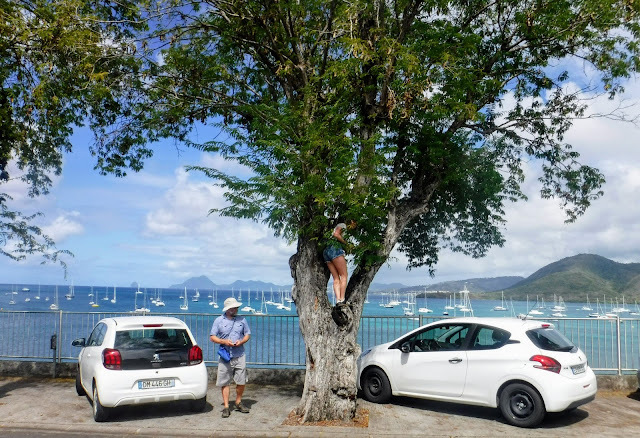 I think we were able to get in quite a bit for our guests, sailing, snorkeling, hiking, touring, museums, ruins and the all important lazing about! Hannele climbing a tamarind tree. The bag she is holding in the top photo is some of her harvest. The anchorage in the background is St. Anne, Martinique and Rhapsody is at the back of the pack. 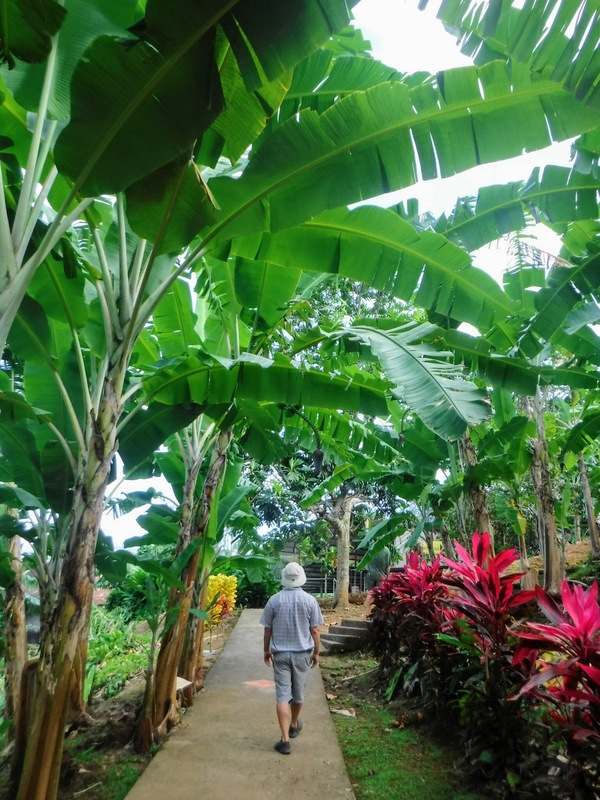 Did you know there are almost 1000 different kinds of bananas? 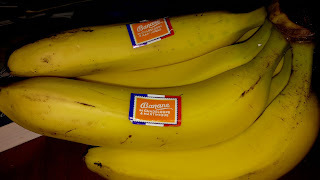 The most common, and the one we think of when we say we want a banana is the Cavendish banana. 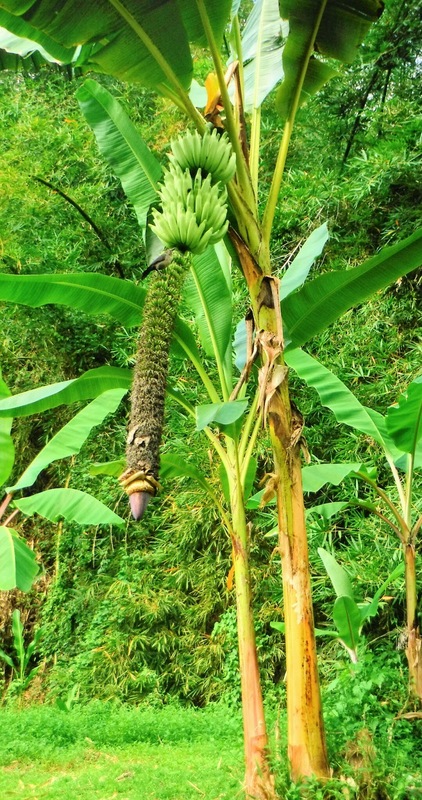 Banana plants have both male and female parts. Sometimes it is more obvious than others. They come in a great variety of sizes. Some of the sweetest are the tiny "dessert bananas"
Martinique banana growers are feeling squeezed out by Dole and Chiquita. All the bananas we get in Martinique are local, and not Dole or Chiquita. The banana plant is not a tree, it is the world's largest herb. 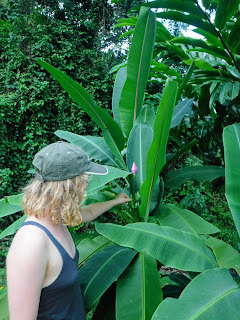 The trunk is actually compressed leaves. As we left the banana museum of course they had a store with lots of banana related items. 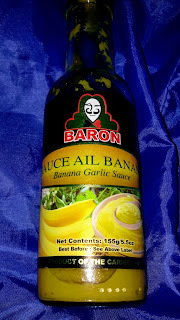 I got to taste a sample of this banana -garlic sauce, and I was hooked! It is wonderful on stir-frys and salads. All these experiences are enhanced by getting to share them with friends and family, whether in person or on the internet. Thanks for joining us!